ST. GEORGE – After three years of steady growth, Washington County’s economy is on the rise and is projected to continue into the new year. 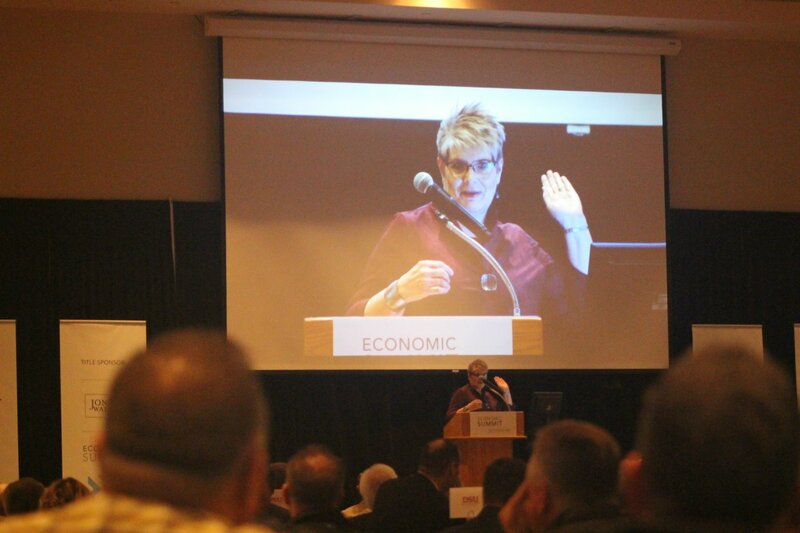 “There’s been some real changes this year,” Lecia Langston, senior economist with the Utah Department of Work Force Services, said as she presented a review of the county’s economic growth at the St. George Area Economic Summit. Growth occurred across the board in 2016 with increases in jobs, wages and construction reflected in Langston’s report. Over 4,000 new jobs were added in the county last year at a rate of 7 to 8 percent, Langston said. While the percentage was a bit high for her taste – higher numbers could be a sign of an overheated market headed to a bust, she said – the current numbers are nonetheless positive. Overall job growth in the county has been between 5 and 6 percent for the last three years, a number Langston is more comfortable with. 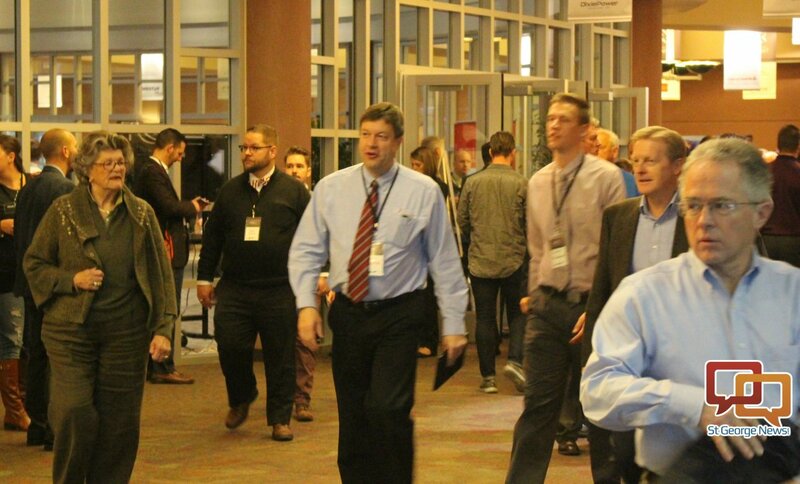 At year’s end the growth rates for Utah and the nation are at 2.2 percent and 1.4 percent percent respectively. “There’s really nothing to suggest we are heading for anything bad,” she said. Much of the job growth has occurred in the retail trade, construction, education, health and private social services industries. Most industries enjoyed a measure of growth in 2016, Langston said. With high employment numbers comes low employment. Currently the unemployment rate in Washington County is at 3.2 percent, down from 4 percent the previous year. The low unemployment rate has created “a very tight labor market,” Langston said. This has made it hard for employers to find qualified job applicants, while also raising wages by 3 percent over the last year as a way to attract employees. A lot of construction is also happening in the St. George area. St. George Mayor Jon Pike highlighted multiple projects set in the city’s downtown that would benefit the area and help keep it revitalized. Among the projects Pike spoke about was the City View project – a mixed-use development that will include a mix of commercial and residential space. The project is located on the block between Main Street, St. George Boulevard, 100 West Street and Tabernacle Street and will consist of three separate buildings standing three to four-stories tall. The project will offer 110 residential units and 100,000 square feet of retail space. 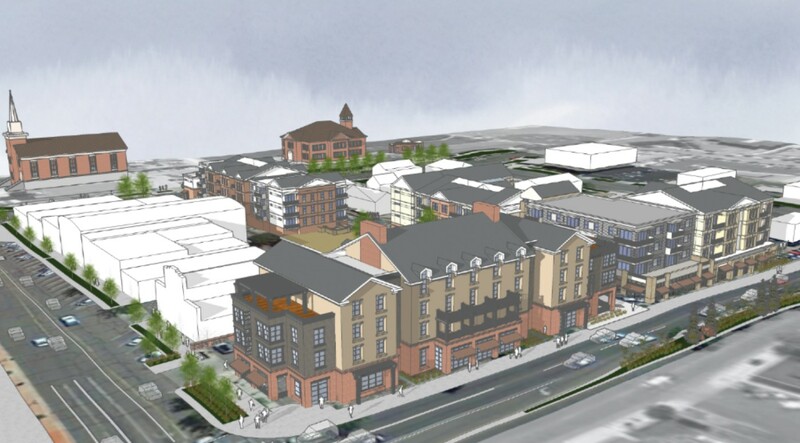 A 60 room boutique hotel is also slated to be a part of the overall development. The project is estimated to run $30 million and break ground in the next month or so. Other building projects in the downtown area included the construction of a new family history center at 250 E. 600 South by The Church of Jesus Christ of Latter-day Saints, as well as the new Legacy Elementary school on 100 South by the Washington County School District that is largely completed. The new elementary was part of a three-way trade between the City of St. George, the Washington County School District and Dixie State University. While the school district gained a spot for a new elementary in the downtown area, Dixie State was able to buy East Elementary. 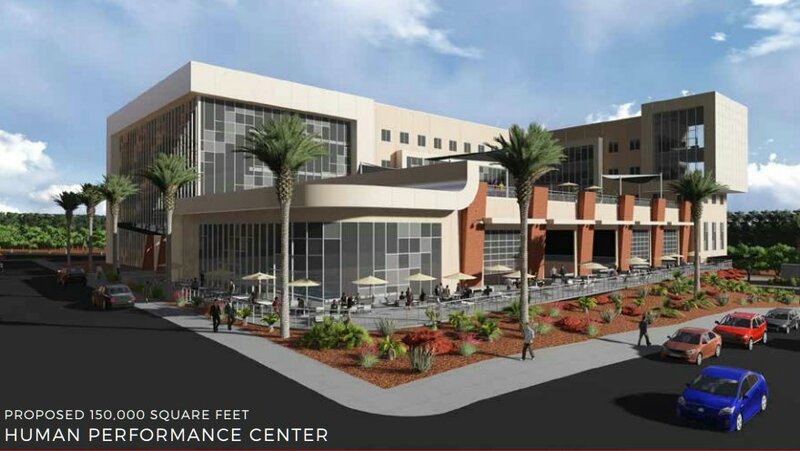 “We’re going to create a space where the private sector can come in with the public sector and we can create new things, entrepreneurs can have resources,” Williams said, adding the facility continues the university’s plans to become a more technology and polytechnic-themed school. Other expansions the university has undertaken in the last year include the new on-campus Campus View Suites dorms and the future addition of bleachers on the east side of the Legend Solar stadium that will double the current seating capacity. DSU is also planning to build the “Human Performance Center” on 700 East where the tennis courts are currently located. Construction on Dixie Regional Medical Center’s $300 million expansion at its River Road campus continues and is expected to wrap up in early 2018. The expansion will bring all of the hospital’s services under one roof – some services are still housed at the 400 East campus – and will also see the creation of a major cancer research facility. Intermountain Healthcare and Stanford University have partnered to do research in the forthcoming cancer research facility. 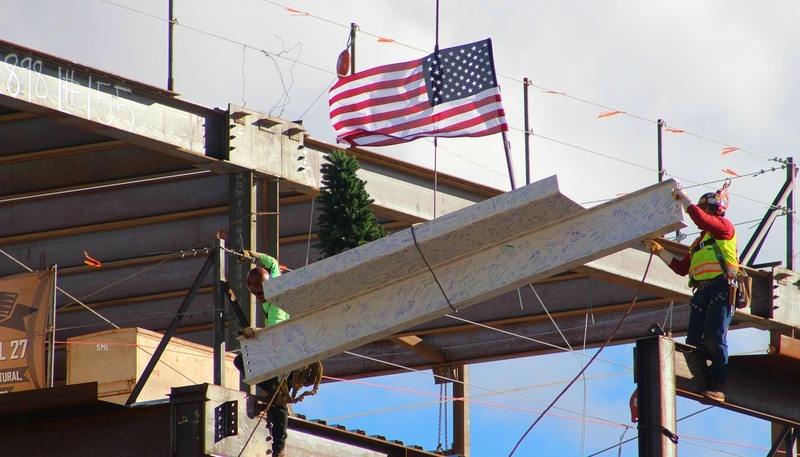 In addition to construction projects by the university and hospital over the span of 2016, about 2,100 residential building permits were issued in Washington County. Permits issued in 2015 numbered over 1,600. “2016 was the best year in real estate we’ve seen since 2007,” said Jeremy Larkin of the Larkin Group. The value of non-residential construction in Washington County was at its highest ever in 2016 at over $250 million, Langston said. Also on the rise in the county has been the population. Instead of the general projected growth of 2.7 percent, growth in 2016 jumped to 3.7 percent. The county population currently stands at over 160,000, having gained over 20,000 new residents since 2010. If there are any major challenges facing the economy over the next year, Langston said, it will be the tightening labor market. With job growth between 7 and 8 percent and unemployment at 3.2 percent, it’s getting harder for companies to finding employable people. Attendees to the summit voiced a positive experience as they gained a greater picture of the county’s economy and what lies ahead. It is that coming together that makes the St. George area unique, Williams said.